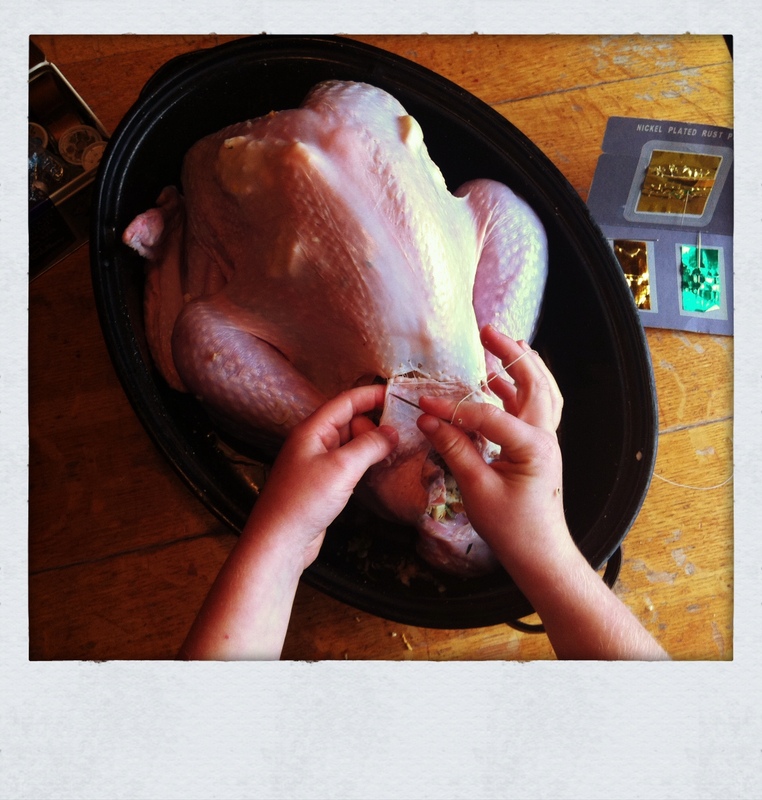 This weekend, in preparation for our Thanksgiving feast, Dylan singed the feathers off the turkey’s wings, made the stuffing and packed it in. Then, with all the care of a surgeon, he sewed it all up with a needle and thread from my sewing kit. Then he rubbed it all over with butter and oil, placed a few sprigs of thyme on top and set it in the oven. When we finally sat down to eat with friends, and I saw the heaps of food on the plate of this usually-picky eater, the theory was confirmed that it is involvement with food that first whets the appetite.